Welcome back to the 2nd installment of our West Elm Knockoff Decor Series! Myself, along with four other DIY rockstar bloggers are sharing our West Elm-inspired projects throughout the summer. For this month’s challenge, we’re turning our attention to organizational items in the West Elm catalog. 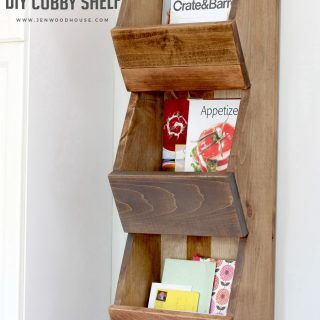 I chose to knock off this Reclaimed Pine Cubby Shelf….